One may consider the statement to be too optimistic, but there wasa significant truth in it. It is strange that the UN Human Rights Council or its High Commissioner has not noticed this aberration of human rights by not holding elections for the Northern Provincial Council for the last six months. Even a minister like Mangala Samaraweera, who pretend to be a champion of human rights, is mum about the matter. 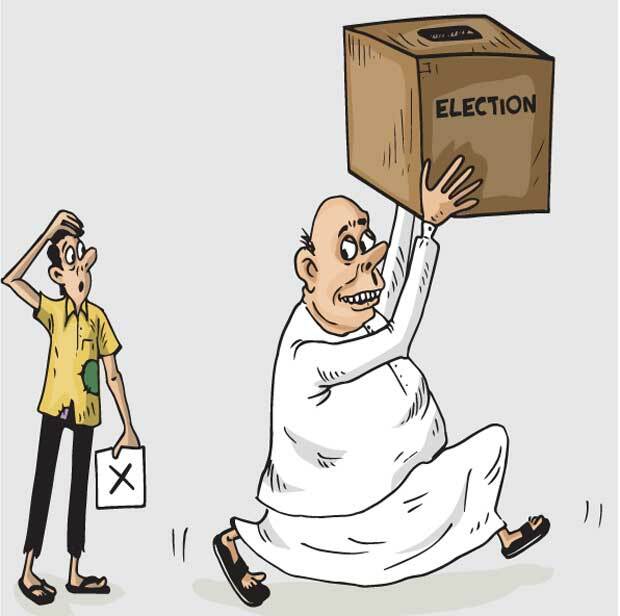 That was a major reason why the voters rebelled against the incumbent government, and its allies, and overwhelming supported a reconstituted new political party, Sri Lanka People’s Front (SLPP),although under discredited old leaders. Similar political trends could be seen even in the North, going against the establishment and established political parties at the same elections. Holding of elections to the provincial councils without delay is a must for national reconciliation and ensuring the most important political right of the people in general and all over the country. If not, more polarization could be seen in the coming period and particularly at the unavoidable presidential electionsby the end of the year. There is no doubt that the present government has taken some important measures and steps towards national reconciliation in terms of addressing the past. (1) Release of the private land held by the military during the war to the original owners, (2) the establishment of the Office of the Missing Persons, and (3) the recent establishment of the Office on Reparation could be considered the most important three measures. However, addressing the current and the present requirements for reconciliation is also important. Adraft on Counter-Terrorism Act is also now submitted to replace the existing Prevention of Terrorism Act (1978). There are serious concerns however that in certain areas, the proposed legislation could be more draconian than the existing one. If that is the case, it is a serious human rights issue that should be addressed. A concept paper has also been submitted to the Cabinet on a bill to establish a Truth and Reconciliation Commission, the content of which is not yet known. It has to be admitted that even the previous government also took some measures, within their own point of view, in addressing some of the issues of the war affectedand addressing the past. ‘Rehabilitation, Resettlement and Reconstruction’ or the three ‘R’s as they said were some of their pet topics. The Lessons Learnt and Reconciliation Commission (LLRC) was appointed within one year after the end of the war and the report was submitted within 18 months thereafter. But the implementation of the LLRC recommendations was terribly slow or hesitant. The present government is also slow although it has gone quite faithfully in line with the ‘international community’ in selecting measures and in implementing them.Most controversial has been the co-sponsoring of all the resolutions submitted in the UNHRC since the most questionable resolution 30/1 in October 2015 drafted by the US. The question is whether the above line of strategy would facilitate reconciliation in the country or trigger more controversies,if not future conflicts? Slow implementation or vacillations have already frustrated many sections of the Tamil community. Some are undoubtedly asking for the ‘pound of flesh.’ It is almost 10 years since the end of the war. What we have seen recently at UNHRC is the second rollover. There is also a strong opinion that the UNHRC resolutions are more of ‘black mailing’a strategically important small country than genuinely addressing human rights or reconciliation issues. It could be a combination of both. There is an apparent alignment between certain sections of the present government and those who execute this international strategy. A clear slant of all of them is a thrust against the previous government or the present opposition.